We would like to take this opportunity to thank you for inquiring about our equipment. 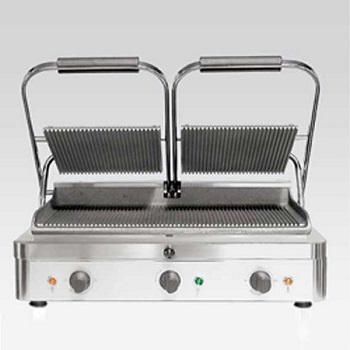 industry by providing high quality specialty restaurant equipment. As a manufacturer and exclusive importer from Italy, Bravo Systems International, Inc. provides equipment and services at a price that truly describes the phrase "great value"! 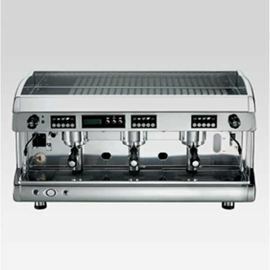 Our Espresso machines are engineered to provide high-quality espresso and cappuccino drinks with great ease and dependability. With clean, classic Italian designs, our Gelato Display and Pastry Cases will enhance any décor. The Catering Equipment was designed to utilize state-of-the-art technology and engineering for maximum efficiency, performance, and energy savings. 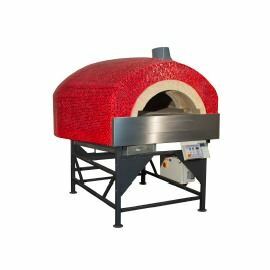 Bravo Cotto Refrattario wood/gas burning pizza ovens are the highest quality oven on the market, and would be a great asset to any Restaurant; the ovens are delivered complete, pre-cured, and ready for use. All of our equipment has UL and NSF approvals. 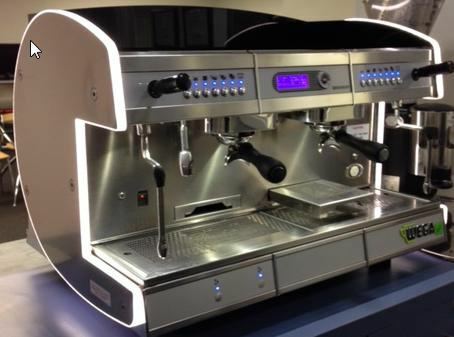 Bravo EVD Series Espresso machines are engineered to provide delicious, high-quality espresso and cappuccino with great ease, efficiency, and reliability which translates to 0.05% downtime in the International Service Award (ISA). The heart of the EVD Series is the patented IBG Dosatron Control System. Each brewing group has its own electronic control panel and plumbing allowing it to operate independently from other groups within the same machine. The result of this design is superior dosing control along with the assurance that an EVD Series Machine will always be able to produce coffee, should one brewing group develop a problem. Each group has a separate override dispense button next to the electronic processor giving the system an additional backup. We believe that the EVD Series are among the most user-friendly available in the business. Their sleek low-profile design allows them to be placed on any counter or bar, as well as providing increased storage for espresso and cappuccino cups. The Dosatron control interfaces are easy to program and simple to use. 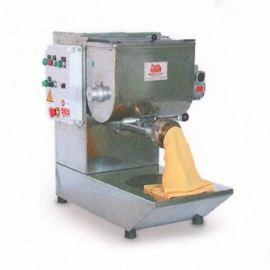 EVD Multi-Group Machines provide two full pivoting steamers, which allows for simultaneous use by two operators. The IBG control units are located behind each Dosatron Panel, away from the moisture and high heat of the boiler and heat exchange. This allows longer life and easier service. The brewing group and portafilter are designed to deliver great-tasting espresso with fresh ground coffees or pre-portioned coffee pods. 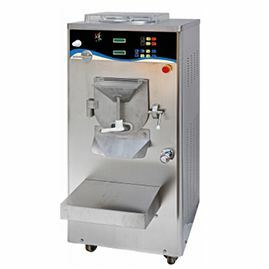 All EVD Series machines are built upon a low profile, resin-sealed steel chassis surrounded by Inox stainless steel panels which can be customized to match the decor of your restaurant, bar or kitchen. Bravo specified INOX in its design because of its superior strength and durability. All of the Bravo EVD Series Machines were designed and engineered for commercial use in the United States, receiving Underwriters Laboratory, NSF, and City of Los Angeles approvals. This extra level of quality design pays off with the assurance that a Bravo Machine will deliver years and years of safe, reliable operation. Perhaps the best feature of the Bravo EVD Series Espresso Machine is that they are priced substantially less than those machines offering less performance and quality. We take pride in having the only Refractory Fire-Clay Wood Burning Oven that meets Underwriter Laboratory Code 737 and National Sanitary Foundation 4. There are significant differences between the refractory cement type ovens and our Bravo Cotto Refrattario which are worth highlighting. Although the majority of wood burning ovens has a domed structure, the Bravo oven has a perfectly curved interior; devoid of any planar surfaces which may divert the heat. Our system has been engineered to achieve the optimum ratio between dome and cooking platform, which provides a uniform temperature and thermal efficiency. In fact, this system uses remarkably less wood than other ovens. The differences between refractory clay and cement ovens play a significant role in how long an oven will maintain its heat, efficiently. Cement-based ovens use a manufacturing process wherein the refractory cement has a high content of Alumina which is primarily used to retain heat generated by fuel (Wood or Gas). 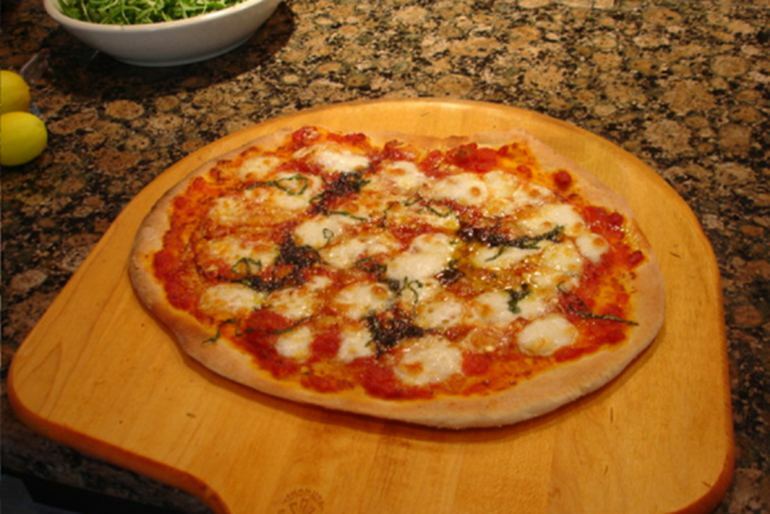 Unfortunately, the material also becomes very dense which results in rapid heat loss making the pizza soggy and not very well cooked. The cement is poured into a mold, vibrated to ensure density and then cured, by air, over a period of days. If the refractory material should have too much water in its mixture or was not given enough time to dry, it could create water pockets in the structure and cause the oven to crack as a part of the natural expansion process during its use. Repair costs are significant and sometimes impossible to perform. ...Durable, Dependable & Maintenance Free. Our Bravo Cotto Refrattario uses high-quality clay which is fired and tempered in furnaces at 1290 degrees Centigrade, nearly 2,355 degrees Fahrenheit, temperatures far higher than the oven would see in normal use. This high-temp molding process cures the material so that it is not susceptible to expansion or cracking. Should someone accidentally damage or break a tile, the repair can be completed in a matter of hours, not days. With our twenty years experience in working with wood burning ovens, we are quite certain that our Cotto Refrattario is the highest quality oven on the market and would be a great asset to any Restaurant. Bravo ovens are delivered complete, pre-cured, and ready for use. We take great pride in offering the most technologically advanced wood-burning rotisserie available in the U.S. today. 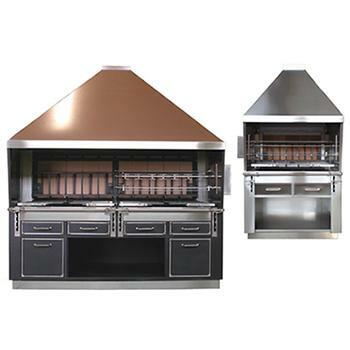 There are significant differences between our Rotisserie Cooking Oven and the open type Rotisserie without structure. Our all stainless steel rotisserie is perfectly constructed with the cooking chamber designed to give the very best cooking results, as well as lower operating costs, higher efficiency, and durability. Our Rotisserie Cooking Oven is designed to provide efficient performance, while at the same time presenting the great visual appeal of open flame cooking. Construction with a double firewall made of Cotto Refrattario (refractory fireclay) and a 2.5-inch thick wall of cast iron ensures maximum heat retention and heat stability inside the oven. This intense heat, which is hotter than a gas generated fire, that radiates from the fireclay and cast iron wall, onto the meat, sealing the skin so that the natural juices remain inside, keeping the meat moist and flavorful. 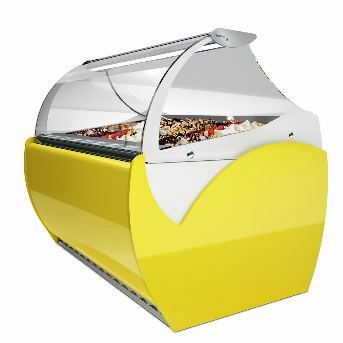 The front of the rotisserie is fitted with counter – weight pull-down tempered thermal glass rated to 600 deg. C. (1,112 deg. F). This thermal glass, along with the outer body construction of 304 AISI/18-10 inox stainless steel, provides complete heat retention inside the oven while maintaining cooler temperatures outside. The rotisserie is in fact so well engineered that it has been approved with a zero clearance to combustible material. ...Durable, Dependable & Easy Maintenance. Our Bravo Rotisserie Ovens are built using high-quality fireclay, which is fired and tempered in furnaces at 1290 deg. C. (2,355 deg. F.), temperatures that are far higher than the ovens would ever see in normal use. 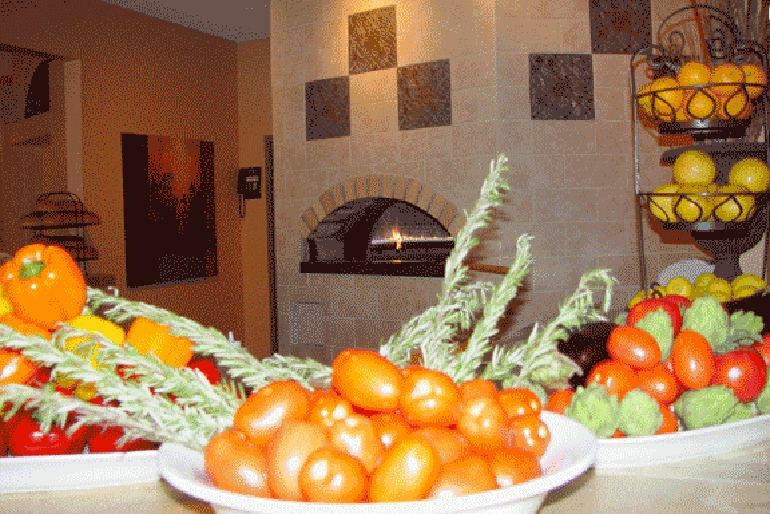 Our rotisserie ovens are hand built in Italy by craftsmen with over 40 years experience in this art form. We are quite certain that our Rotisserie oven is of the highest quality available and would be a great asset to any restaurant, fast food, or chain concept. We offer a variety of sizes with a capacity of up to 126 chickens, and of course come to you assembled, cured and ready to cook. We believe that our equipment can offer a level of performance, service and, value unparalleled in the foodservice industry. We would welcome the opportunity to discuss your needs in detail at your earliest convenience. Thank you, again for considering Bravo Systems International as one of your trusted suppliers. We would like to take this opportunity to thank you for inquiring about our equipment. Bravo Systems International, Inc. was created to satisfy the needs of the demanding commercial food service industry by providing high quality specialty restaurant equipment. or give us a call at (800) 333-2728.